With the victory, the Polars cemented their place atop the Metro East Conference standings. Sophie Cave is known by her team as the leader of the Polars this season. She has taken on the role and embraces it in her senior year. 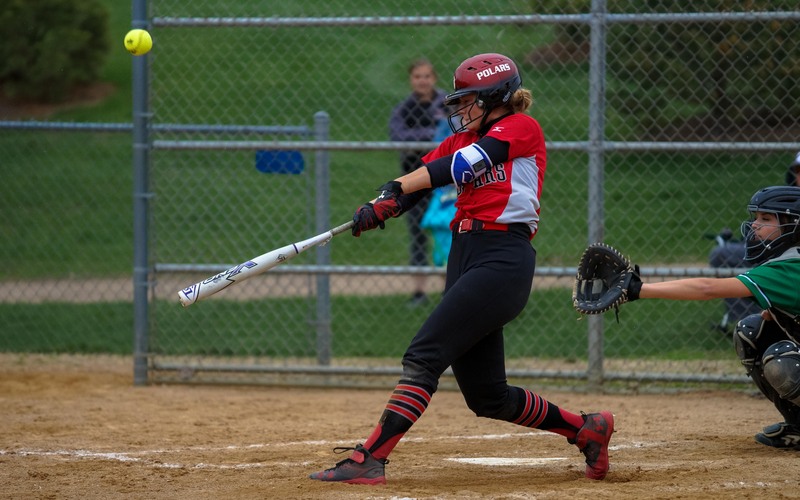 Cave set an example for her teammates on Saturday in a matinee against Hill-Murray (7-2, 6-2), hitting a pair of RBI doubles in the Polars’ 9-4 win over their Metro East Conference rival at Hill-Murray High School. When Cave plays well, her teammates join in. Cave said she wants to help make every player on the team individually better by the end of the season. Her presence and leadership is good for the younger players on North. St. Paul, including junior Ashton Putzier who is in her first season as the starting pitcher for the Polars (10-1, 8-1). Co-head coach Cliff Charpentier said Putzier’s pitching this season has kept them in every game. Against the Pioneers, that seemed to be the case as Hill-Murray strung together 13 hits but the Pioneers were only able to score two runs against Putzier through the game’s first five innings. Charpentier also stated the team relies on Cave’s skills on the field, but more important to the team is her leadership. Cave’s coaches are very high on her hitting and fielding. The senior made it on Star Tribune’s 20 players to watch list prior to the season. Charpentier said Cave has been hitting the ball and making great plays on defense all season. The shortstop has 15 hits in her first 11 games this season. Hill-Murray coach Colleen Cicalello said Cave and the rest of the Polar offense gave the Pioneers, ranked No. 6 in the Class 3A coaches’ poll, a lot of trouble in the opening inning when North St. Paul rushed to a quick 4-0 lead to start the game. “We gave them a lot of extra bases. They had some clutch hits and found some holes. When we had an opportunity to make a play, we didn’t. They capitalized on it,” Cicalello said. After this season, Cave will continue her softball career at Iowa Central, then she plans to transfer to a Division 1 school. But her focus now is leading the Polars to the Class 4A state tournament. 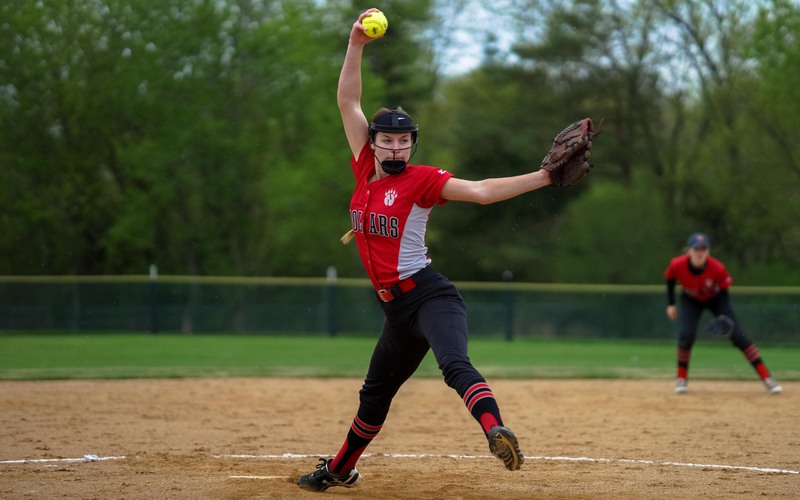 North St. Paul had a commanding 9-4 win over Hill-Murray on Saturday afternoon in a matchup between the top two teams in the East Metro Conference at Hill-Murray High School. The Polars (10-1, 8-1) scored four runs in the first inning, establishing an early lead. Senior Sophie Cave had three of North St. Paul’s 15 hits. After a quiet second inning, the Polars plated a run in the third, followed by two in the fourth and two more in the fifth. Down 5-0 in the third, Hill-Murray (7-2, 6-2) got its first run of the game. The Pioneers, ranked No. 6 in the Class 3A coaches' poll, finished with 13 hits, led by Beth Fredrickson who went 2-for-3 at the plate with a double and a single. Despite giving up 13 hits, the Polars contained the Pioneers throughout most of the game, keeping scoreboard damage to a minimum as North St. Paul pitcher Ashton Putzier allowed just two runs to score through the fifth inning. The MN Softball Hub polls are for entertainment purposes only.